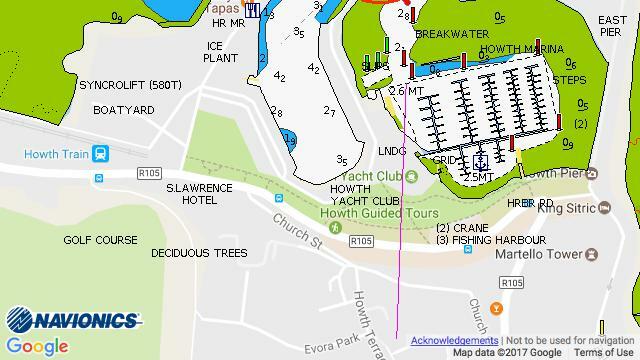 Howth Yacht Club: Being only 14km (9 miles)from Dublin and with very regular bus and train services to the capital Howth is the ideal location from which to visit Dublin and the surrounding areas. Dublin Airport is only 11km (7 miles) from the marina and therefore very convenient for crew changes. Howth has an abundance of excellent restaurants and cafes surrounding the Harbour.